Brows. We all have them, but we’re all too often unhappy with what we’re born with. Too bushy, too sparse, not enough definition, not enough of an arch… there are so many shapes and thicknesses, each one with the potential to completely transform your appearance. 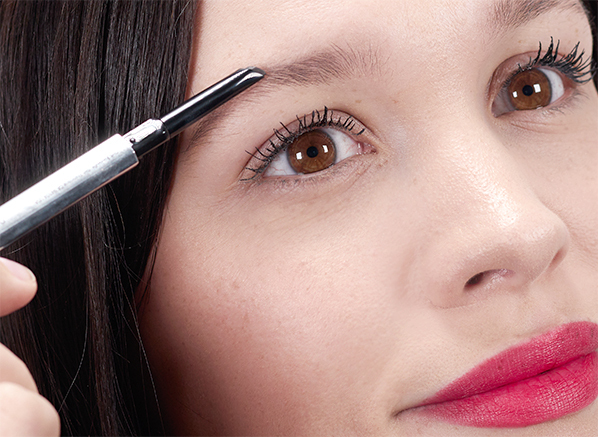 It’s safe to say that brow makeup is a pretty powerful weapon in your daily routine! So, where to start with getting it right? Our pals at Benefit are on a mission to help you to finally nail your ideal arch, with a massive collection of products that will help you to realise your brow goals. Too much choice can sometimes be off-putting if you’re a bit unsure to begin with, and Benefit knows that; that’s why they’ve created Brow Try On, an amazing custom tool that not only lets you toy with lots of different shapes, thickness and colours, it’ll also prescribe the perfect products to help you to achieve your brow dream, too. You won’t find it anywhere else – the tool exclusive to Escentual right now! Step #4: Once you’ve found your ideal shape, the tool will show you the best products for the job – and you’re done! Benefit’s brow collection is iconic and for good reason. They’re the UK’s #1 for brows, with an amazing selection of liners, creams and gels in an array of different formats, all tailored towards the very unique shapes and preferences of both women and men. And the colour selection is incredible, too, catering to all hair colours from fair to ebony. You’ll be hard pressed not to find your ideal brow partner in this line-up! Despite how dark my hair is, my brows have always been on the fairer and sparser end of the spectrum. Their shape is fairly flat too, which is a constant source of consternation! After using the Benefit Brow Try On tool, I know that a slight arch suits my face shape better (I’ve got a slightly round face, so it needs some help in the structure department), but one surprising takeaway from using the tool is that a bolder brow just isn’t me. I’ve been overcompensating for the difference between my hair and my brows by going in a little heavier than necessary with a powder, but swapping to the Benefit Goof Proof Brow Pencil with its creamy, buildable formula has been a revelation. 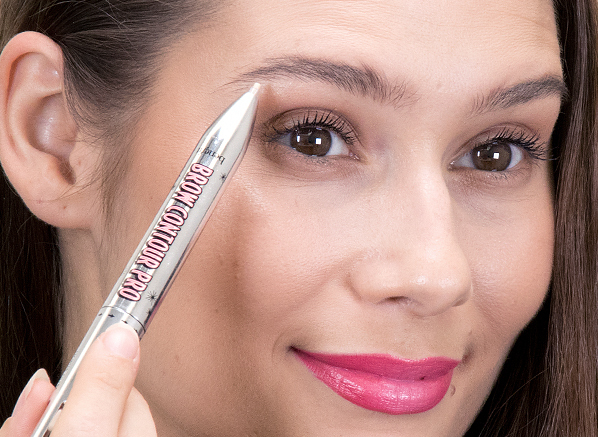 The elongated pencil shape emulates the look of real hairs, so all it takes is a few strokes to enhance my natural shape (concentrated at the base to help me fake that arch I’m always aiming for! ), and then a quick brush-through with the attached spoolie, and I’m good to go. I’m addicted to apps that let you try out new hair styles and hair colours, well Benefit’s Brow Try On Tool is absolutely incredible for testing out different arches and I’m completely obsessed – I even try it with my friend’s pictures! What I’ve learnt is sometimes it’s not your brows that’s the problem, it’s your product. Gimme Brow will always be my brow hero, but the Brow Try On Tool not only visually shows you what suits, but it also recommends the best texture for your brow hairs, not to mention picking out the best shade to suit! I love full, fat, bushy brows, so Gimme Brow is perfect for me. However, I often get this thing called ‘brow envy’ and I’m forever looking out for a new shape that will suit me. After growing out my brows for nearly two years now, I feel plucking my eyebrows almost as nerve racking as cutting two inches off of my hair. So if you feel the same as I do, or perhaps you’re stuck in a brow rut, I recommend that go and use the Benefit Brow Try On Tool now. It’s incredible and it will give you a few laughs seeing yourself with completely different brows! I’m proud of my brows. They’re quite full, defined and I don’t usually have to do much to them. But it hasn’t always been this way. Back in my teens, my eyebrows were a mess. Long story short, I went a little mad with the tweezers and a razor and the result wasn’t flattering! Fast forward ten years and my eyebrows are finally back to how they were. So a piece of advice from me: leave your eyebrows alone! 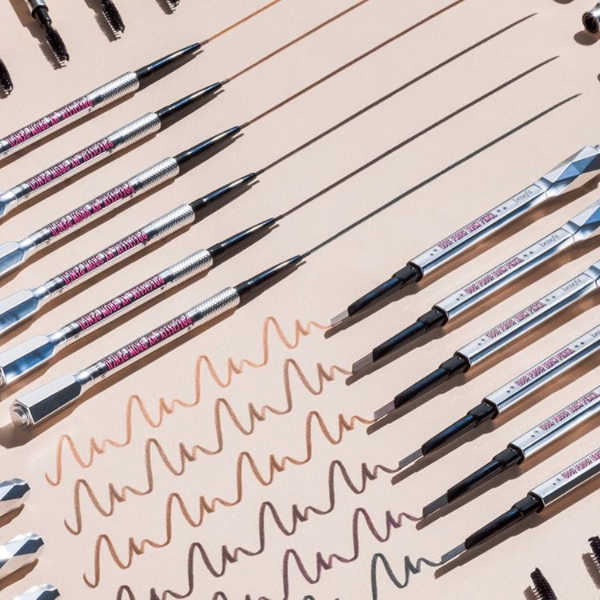 If like me you didn’t leave your brows alone, or you’re just not a fan of your natural brow, then the Benefit Brow Try-On Tool could be your saving grace! This nifty apps lets you try on brow styles then matches you up with your perfect product. Before I tried the tool I was already using the 4 in 1 Contour Pencil, so testing this app was a great way to see if it was money well spent. And luckily it was! The app suggested I go for this as all my brows needed were a little filling in, contouring and highlighting, all of which you can do with this multi-purpose pen. This entry was posted on Monday, November 19th, 2018 at 10:00 am and is filed under Hints & Tips, Make-up, Swatches, Tried & Tested. You can follow any responses to this entry through the RSS 2.0 feed. You can skip to the end and leave a response. Pinging is currently not allowed.